The last concert of Collage’s fruitful season featured two significant vocal works and three shorter pieces from a spectrum of younger and older composers, two of whom came to hear their works at Longy on Sunday. Yu-Hui Chang, a Taiwan native who teaches at Brandeis, provided the opener, Rhetorical Flourishes: Three Shepard Songs, for soprano, clarinet (bass clarinet), viola, and percussion on slightly stoned, whimsical texts by Neil Shepard. “Oh! On an April morning” proceeded very fast, with seesawing motions in viola and bass clarinet punctuated by drums —“rhetorical flourishes” — and high voice. “Let’s hear it,” which made use of assonances and internal rhyme, constituted the sostenuto “slow movement” in three sections, each prefaced with a clarinet-vibraphone duet, the clarinet melody with short gruppetti that echoed Debussy’s Syrinx. “Empiricist of the Clouds”was more pictorial, with much high-register soprano, and lines such as “my poems begin lower down” accompanied by the viola’s low open C, and “I see an end to ragged insecurity” with nicely expressive major 10ths between viola and bass clarinet. These songs had many sensitive timbral touches, but even so, they sometimes seemed too complexly textured for the elfin texts, tending to cover the voice that had to strive too much in the highest vocal register. The hastily rushed-through overabundance of words might have been better heard in more spacious setting. With very attractive vocal production and admirably precise intonation and enunciation, soprano Tony Arnold fought through the texts bravely. Richard Festinger, a Berkeley (California) composer, 71 years old this month, represented the senior generation. Solo cellist Mickey Katz masterfully displayed Upon the Viol, which originated as a competition piece in 2012. “Double stops in the cello’s low register provide cadential grounding for the music’s more capricious and temperamental episodes,” according to the composer’s notes, but these are only part of the story; we also heard an abundance of ponticello, bariolage, strumming, and alternating high-low registers, as well, perhaps as some remembrance of the guitar-like pizzicato in Debussy’s cello sonata hovering in the background. It ended with a sustained pianissimo perfect fifth in high harmonics — a sound we heard several times in other works during the evening as well. The show continued with the piano solo To My Son. Andrew Imbrie, composed it as a birthday gift in 2006, one year before he died. This elegantly-unified vignette, less than two minutes long, showed an agreeable intensity of waltz patterns, short melodic motives reminiscent of Schoenberg, and a distinctive chord of perfect fourths that seemed right out of Berg’s Wozzeck (m. 379 of Act I, if anyone wants to look it up). Christopher Oldfather, longtime piano master of Collage, sensing the right moment, repeated it. The concert’s biggest and oldest (2003) composition, Richard Festinger’s The Coming of Age: Four Songs on poems of Denis Johnson, for soprano with Pierrot ensemble plus viola, draws from themes which “all center on love, its solace, and its transformative power,” according to the composer’s note; that the texts consoled the music and vice versa, could easily be heard in textures that were often richly harmonic and timbrally simple at the same time. In the pre-concert talk, after a mention of his experience as a jazz performer, someone asked Festinger if he also perceived a folk-music influence on his work; he said No, not really, because “There is no real folk music anymore,” the genuine folk voice having been suppressed or diluted in the age of instantaneous reproduction and worldwide distribution. Improvisation, however, was another story, and many of the gestures in these songs appeared seemingly from nowhere to settle into interesting fixations: the high string harmonics combined with low piccolo at the beginning of “Upon waking” (no. 1) and again at the end with string trills and tremolos; the fast-and-furious flourishes and jazzy riffs “at ninety miles an hour” and “the stars unlocking themselves” with a clock chime in the piano in “Poem” (no. 3); fourth-chords aplenty in the piano in “The dry, dry land” (no. 2). “The coming of age” (no. 4), the culminating text, maintained a continuous string sostenuto, joined by the piano, then with a ghostly roulade for alto flute and clarinet; “the lovely tones ascending” had the violin going downscale, followed by “on a voice merely speaking” with all the strings going up, perfectly blended with the voice. At the end, “high music encounters us” pushed the singer into the highest register, with the final pianissimo notes in the accompaniment vanishing into thin air; the third song had ended this way as well, in ethereal wisps of sound. All of this timbral variability allowed for clear projection of Tony Arnold’s line. Altogether, the four poem settings felt unified in texture, tempo, and overall sound. Newcomers James Cooke (violin), Anne Black (viola), Linda Toote (flutes), Jan Halloran (clarinets), and veteran Craig McNutt (percussion) are the excellent players I haven’t already mentioned, but everybody sounded masterful and confident. 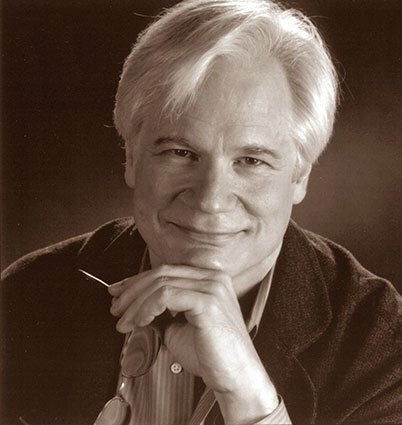 Once more, it is a pleasure to acknowledge the guiding spirit of Artistic Director David Hoose, who knows how to unify and exhort an ensemble to maximal advantage better than almost anyone on the new-music scene today.